Wrap up in, cuddle in, and snuggle under - enjoy the best of what quilts bring! Make every nook and cranny of your home a place for comfort with warm, inviting quilts. 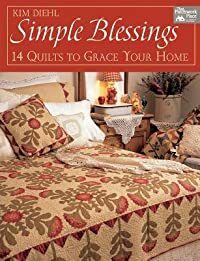 Choose from bed quilts and lap quilts, plus wall hangings. Create a hand-sewn look with an easy invisible machine-applique technique."